Our Specialist Copier rental / hire service in London and the Home Counties are an essential part of today's office equipment requirements. We are an Authorised Canon approved copier dealer and part of OMM Business Solutions Limited, We specialise in office equipment rental hire. Our convenient London location is approximately 4 miles from Canary Wharf and 1.2 miles from the new Olympic Stadium and within easy reach of the City of London and the West End, which makes us ideally placed to ensure the best solution for any event. A fast and reliable photocopier rental service from a local supplier with competitive rental rates and expertise. London Photocopier Rentals will always work closely with you to ensure we thoroughly evaluate your needs and guarantee that you get the right machine for you rental requirements. 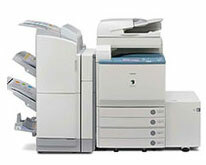 Fast photocopier rental and office equipment rental delivery and Installation. 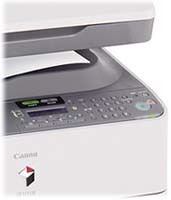 Photocopier rentals includes all your servicing and maintenance. Office equipment and photocopier setup. Photocopier training and support on all copier rentals. Photocopier rental / hire includes all supplies (paper not included). Bespoke rental / hire package to suit you. London copier rentals can install and network your rental / hire copier and ensure it is set up exactly the way you want it to be, with our own fully qualified engineers. We can offer you competitive rental prices with London photocopier rentals you can have a bespoke rental / hire package to suit you and your business needs. Whatever your colour photocopier requirements are, we will always provide you with a fast and competitive service. Short term photocopier rentals - Long term copier rentals - Photocopier leasing - Photocopier Sales - New and used refurbished digital copiers - Competitive photocopier leasing and rental rates - Canon photocopier approved main dealer in Central London U.K.